The National Intelligence Service (NIS) has recruited former South Korean military officer PARK Suk-young (HWANG Jung-min) as a spy. Under the code name “Black Venus”, his mission is to find out information about the North Korean nuclear program. 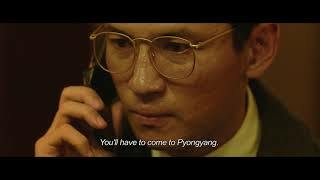 After years of groundwork disguised as a South Korean businessman, he is able to infiltrate the opposing ranks and gain the trust of North Korean official LEE Myung-un (LEE Sung-min). During his mission, PARK discovers that both sides of the borders are involved in political deals surrounding the upcoming South Korean presidential elections. Caught amidst an international conspiracy, he is at odds with himself. YOON Jong-bin’s movie “The Spy Gone North” is based on a true story of PARK Chae-seo, set in the early 90’s. The movie debuted at the 2018 Cannes Film Festival in the “Midnight Screenings” section. Jong-soo is an aspiring writer who lives in the countryside near the Korean DMZ. While working part-time, he reunites with his childhood friend Hae-mi, who proceeds to invite him out for dinner. After spending the night together, Hae-mi asks Jong-Su for a favor: she wants him to watch her cat while she travels across Africa. Upon her return, she introduces Jong-soo to Ben – a man she met staying in Kenya. One evening, as the three of them hang out, Ben opens up to Jong-soo about one of his more particular hobbies. Eight years after his award-winning tragedy film “Poetry” was released, critically acclaimed director LEE Chang-dong returns with “Burning”, winning both the FIPRESCI Prize and the Vulcan Award at the 2018 Cannes Film Festival. Ever since her birth, Princess Song-hwa (SHIM Eun-kyung) was considered to be jinxed. Thus, in an attempt to stop the drought plaguing his people, the king decides to marry his daughter off, thereby correcting her cosmic misfortune. 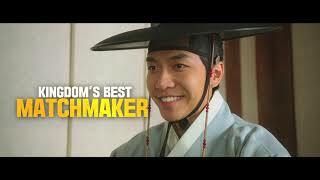 To ensure a harmonious marriage, renowned diviner Do-yoon (LEE Seung-gi) is tasked with finding the perfect husband for the princess. As the selection process is narrowed down to 4 candidates, Princess Song-hwa decides to take fate into her own hands and sneaks out of the palace to see for herself who her suitors are. HONG Chang-pyo's quirky and sweet directorial debut “The Princess and the Matchmaker“ boasts a star-studded cast and was a box-office hit upon release in Korean cinemas. The convicted murderer KANG Tae-oh (JU Ji-hoon) boasts to have committed another seven yet to be discovered murders. 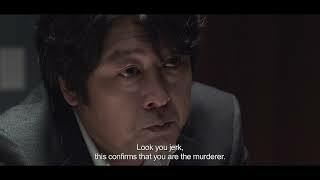 Detective KIM Hyung-min (KIM Yoon-seok), following his intuition, chooses to trust the convict’s claims, but soon realizes that the criminal has been trying to manipulate him. Determined to solve the case, the veteran detective must uncover the truth hidden within the murderer’s lies and misleading testimonies, before the statute of limitations runs out. “Dark Figure of Crime” by director KIM Tae-gyun is a suspenseful thriller based on a true story. The film has received critical acclaim for its intriguing plot, apt directing and convincing performance. What if you got the chance to keep a promise, you made even after your own death? One year after her death, Soo-ah (SON Ye-jin) comes back to life on a rainy day – just like she had promised her husband Woo-jin (SO Ji-sub). However, all the memories she had of her family are gone and her time back on earth is short-lived. LEE Jang-hoon’s directorial debut “Be with You“ is a moving romance film released in 2018, based on a popular novel by Takuji Ichikawa with the same title. Starring two of Korea’s most acclaimed actors, SON Ye-jin and SO Ji-sub, this bewitching, yet tragic love story managed to attract over a million moviegoers in a week. CHOI Hyun-su (RYU Seung-ryong), burdened by his financial situation, decides to take the job of overseeing a dam in a remote village. On a foggy night, he goes to check out the company housing after having a few drinks. As he is driving down the rural roads, he runs over a little girl appearing out of nowhere. With his mind clouded by the alcohol and sheer panic, he dumps her body in the nearby lake. Eventually, the police manage to recover the missing girl’s body, leading her enraged father Young-je (JANG Dong-gun) to plot revenge on the culprit of his daughter’s death. “Seven Years of Night” is a somber and visually striking thriller by director CHOO Chang-min, famous for “Masquerade”, one of the highest-grossing Korean films of all time. Detective Won-ho (CHO Jin-woong) is obsessed with taking down Asia’s biggest drug cartel and its elusive leader, only known under the alias Lee, who brutally murdered Won-ho’s dear informant. After a fire in one of the cartel’s secret houses, Won-ho enlists the help of Young-rak (RYU Joon-yeol), a survivor of the drug lab explosion and Lee’s errand boy, to lure out the drug kingpin. LEE Hae-young’s “Believer” is a dark action drama, marked by its impressive cinematography and talented cast. Hae-young’s remake of Johnny To’s “Drug War” is one of the highest-grossing Korean films of the year and the late actor KIM Joo-hyuk’s final film role. Disenchanted and weary of the hectic life in the city, college student Hye-won (KIM Tae-ri) returns to her tiny, rural hometown, to the house where she once lived with her mother (MOON So-ri), who suddenly left when Hye-won was still in high school. To console herself, she spends her time recreating her mother’s home cooking and farming. Throughout her stay, her childhood friends, Eun-sook (JIN Ki-joo) and Jae-ha (RYU Joon-yeol), try to help her come to terms with the past, but Hye-won is still afflicted by the disappearance of her mother, who inspired her love for cooking. “Little Forest” is an endearing and strangely therapeutic drama. 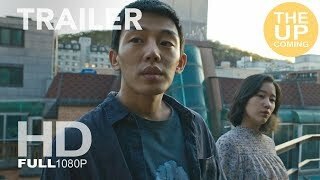 Filled with mouth-watering cooking scenes and bittersweet nostalgia, the latest movie directed by YIM Soon-rye, one of the most acclaimed female directors in South Korea, celebrates the simple pleasures of life. Mi-so (Esom) is a part-time housekeeper in her early 30s, living alone in a tiny studio apartment she is barely able to afford. Although life is not easy for Mi-so, she is able to rely on cigarettes, whiskey and her boyfriend Han-sol (Ahn Jae-hong) to provide her with comfort. As housing costs and cigarette prices rise, Mi-so decides to give up her home and turn to her former bandmates for a place to stay, while she is trying to save up money for a rent deposit. “Microhabitat” follows Mi-so’s visits to one ex-bandmate after the other, while offering insight into some of the harsh realities of life. Thoughtful yet comical, Jeon Go-woon manages to balance humor and tragedy effortlessly in her rather impressive directing debut.